I have been threatening for a couple of months now to do an award post to celebrate (in my opinion) the best Folk of 2016. It is a cliche to say it was a fantastic year for folk music, so I won’t say that more than that once. But what I can honestly say though is that I’ve have heard more folk than ever before, and the scene is certainly a well-filled blend of whiskies; a vibrant mix of old and new expressions co-existing. The scene itself is pretty vibrant in it’s different expressions and many stories are being told old and anew. As a result I thought it only fair that Folk Phenomena gives some awards this year, apologies there are no awards going for live gigs (per se), or traditional/instrumental. Maybe I will hear more of these things this coming year and incorporate this into my next awards! Before I proceed let me explain how I will do this. The Bridge Award symbolises the most accessible of folk albums. This is not to say that an album is lacking in folk credentials or has strayed over to the side of pop or hip-hop (for example), but it’s delivery combines all the best sensibilities of Folk Music whilst through arrangement or delivery reaches an out-stretched hand to the uninitiated in the scene. 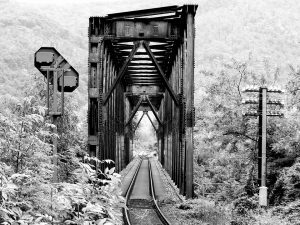 Gateway albums are essential in any music form and particular for albums considered for the “BRIDGE AWARD” this year. 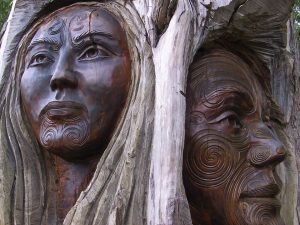 Stories of old, spun in innumerable ways from the oral tradition that speak of things part history, part hearsay are some of my very favourite things. Folk music often takes the mantel of talking about the more fantastic. Sometimes there is a legend or a famous person who did a wondrous feat, or maybe it’s just a touch of magic that is added too an otherwise unremarkable event. For a sub-genre that is not everyone’s cup of tea, here it is “a cup of tea, bread and butter and chips coming out the chip pan”. There are music gigs, and then there are folk gigs! For this first year of awards I will not strictly be running an award for best live performance, but there is the Grimm’s Gig Award. It is needed, for indeed there is theatre that gives flesh to stories, a memory presented under the hot stage lights for the world to see. I sometimes wonder, what if the Brothers Grimm were here today? What would they show? How would they choose to extend their presence in plays? Collaborations bring a number of individual artists and elements together with the goal of making a substantial and interesting piece of work. The Musical Menagerie Award highlights the best of these works from the year 2016. Please note the award isn’t intending to convey the experience of sitting in a locked cage together thinking of the particular chords or words that convey what you are thinking (though this might or might not be the case), but rather recognises that as different creatures, we bring our own ideas, history, and experiences to the musical pot. A focus on lyrics and words, this award goes to the group and album that demonstrates a huge affinity to their subject with. They will be albums where the words have a life of their own and follow you through to the quiet of the early morning or ring in your ears, inaudible to other unsuspecting parties. Politics has dominated a lot of discussions in this year that is for certain. Folk music’s more than casual acquaintance with protest and debate is not itself a debate that is needed, it is a given. Certain parts of folk music quite rightly want to communicate a collective unhappiness, or speak out about the vulnerable or mistreated. The “SIGN OF THE TIMES AWARD” goes to the most impressionable albums with an overtly political stance released in 2016. The Halo of folk is pretty much how it sounds. 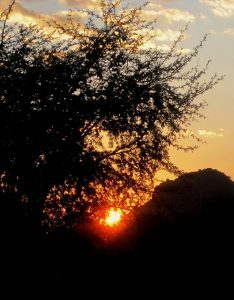 It is music that can do no wrong, or if it does its so small that the light of it’s energy overcomes all. 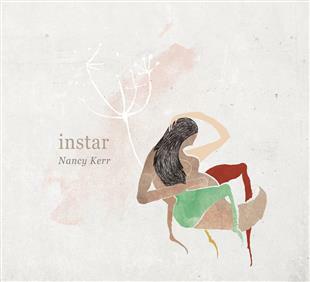 Nancy Kerr’s “Instar” has a kind of swagger. It is true that the album covers no end of subjects that would be at home within a raft of folk albums: a song about birds (check), songs about social justice and equality(check), some songs about myth and stories (check), and these are my favourite things, very much so here but it certainly reaches out. There is a firm, well-crafted feel to the album with an element of fun that peaks across many of the narratives on display here. Kerr’s voice is interesting and engaging throughout, and in some places in a particularly playful way that oozes applicability of folk to modern living (i.e. Farewell Stony Ground is getting into Lily Allen territory with her slightly urban articulation). But it’s not just this, there are other “bridging” factors from Instar in arrangement such as a rock-influenced medieval recipe song (Gingerbread) and Light Rolls Home, that feels a bit Beach Boys/Ramones in it’s presentation. All-in-all an album which show ways of presenting folk songs/stories that the uninitiated listener could easily take hold of and embrace. Highly recommended, and that is why this year Nancy wins the “BRIDGE AWARD”. Instar can be purchased from many sources, including Nancy Kerr’s website here. Hot on Nancy’s heels is Kelly Oliver with “Bedlam” released early in 2016. Quite simply, Kelly deals with some big topics. As mentioned on my previous blog, “she wastes no time with wishy-washy politics” she goes for some big targets such as a song about an unmarried mother put in an asylum “Bedlam”, and “Die this way” about a young child at wartime. The music has an achingly youthful and authentic sound which finds time to enjoy itself in paces too (such as the upbeat track “Jericho”). You could call her the musician of the Olympics this past year as her love-letter to Brazil was delivered with fresh observation and some catchy rhythms, together it is cemented with her soft voice and demeanour. Kelly Oliver’s album “Born This Way” can be purchased here from Folkstock Records. Heg and the Wolf Chorus remind me somewhat of all the elements of music I enjoy outside folk (except maybe Reggae and Ska). They appeared from the edges much like the dry ice you see in 1980’s fantasy films and before you know it you are not sure where you are. There are elements of dark cabaret here (e.g. Amanda Palmer/Emilie Autumn), cello rock, Kate Bush, and a hint of Tori Amos. It is all of this and also none of this. The broad, powerful ensemble of musicians is like a beating heart which pulsates stronger and stronger with the best sensibilities of supernatural folk. Be it the shrill, piano marching warnings of “Hide! 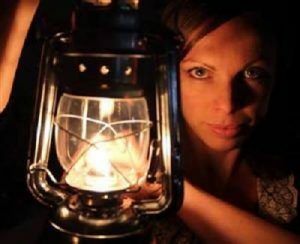 The Storm is Coming”, the theatrical and fun “White Witch”, or the more medieval styling of “Fairy Hill” there is an unfettered, confident collection of songs here that is brought to life. It could have stepped straight out of a HBO fairytale programme. If you like a touch of fantasy in your listening cave, I heartily recommend. Heg and the Wolf Chorus’ album can be purchased from their website here. The first of the quite myth-heavy albums in the winners list. Occasionally nautical (Raven, Harbour Masters) and often an interesting take or elaboration on legends (Maiden Stone, Selkie) the album is a solid breakthrough into the folk scene. Not just that, there is some very nice fiddle work indeed throughout and Sturgeon has a breathy, “warden of the woods” sound to her voice that exudes a certain confidence within the work. In a sense it is quite traditional, and finds beauty in being restrained and alluring. This is why she is the runner up of the “GRAND ENTRANCE AWARD”, well done. 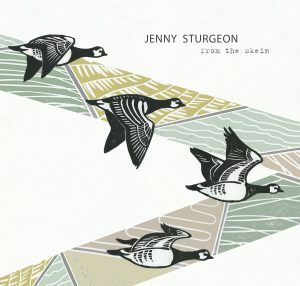 Jenny Sturgeon’s album can be bought here from Bandcamp. 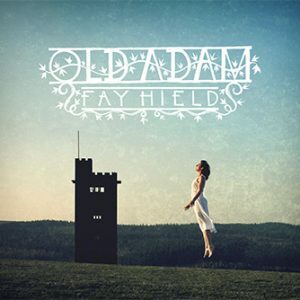 I am a fan of Fay Hield, but in my ultimate opinion “Old Adam” excels above her other works and continues her ascent into the perfect combination of expert research, literary considerations and performance. Her works have always lent themselves to being like an explosion of energy from a medieval tome, it is very easy to see her academic interest and the joy she derives from all aspects of her interests. Her powerful adaptation of “Old Adam” is an exercise is great pacing, a luxurious string accompaniment, and a moving emotive voice. Throughout there is a careful measure of energy which she varies throughout the songs going from dancing and ethnic (Raggle Taggle Gypsy), to regally melodic (Queen Elanor’s Confession) ,and even comedic (The Hornet and the Beetle), this variety adds a huge amount to what you hear and how you feel. It is also delightfully morally ambiguous and unfiltered; it is mythic folk of the finest kind, and that is why she wins the “MYTHMAKER AWARD”. Buy Fay Hield’s album here from her website. Cohesive and exploratory it conveys as much through what is not said as what is. It feels like a playground where one’s own mind can go wild, and is strikingly earthy like a pine glade. It only misses the winning spot through a feeling that seeing it all live as part of a full dance/puppet/song performance is probably the optimal experience, but nevertheless will leave you with your hairs standing on the back of you neck as an album in it’s own right. 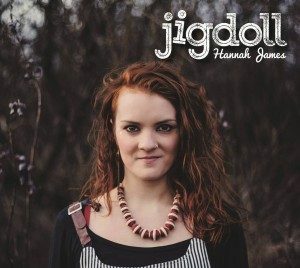 You can buy Hannah James’ album here from Rootbeat Records. 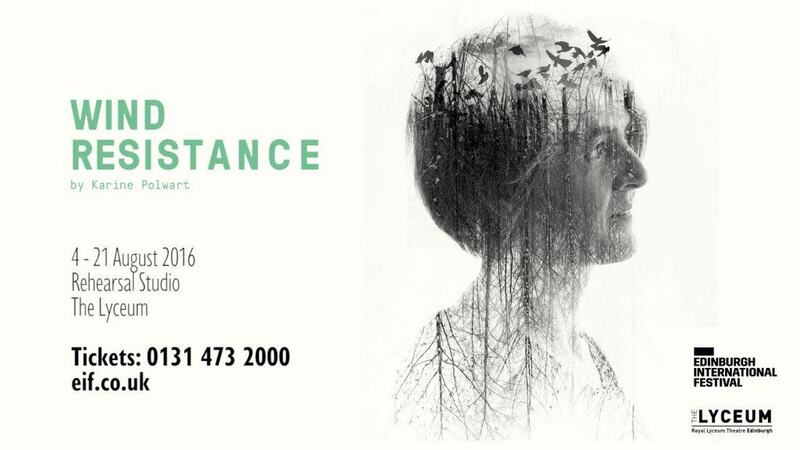 Karine Polwart amazes on every level in this monologue combining music, stories, and movement. Like a lush terrarium, the set is incredibly detailed in the number of items on display, several of which come to life in the performance; no space is wasted and Polwart is a warm, beloved storyteller here. Not being sure what you will see, “Wind Resistance” offers a masterful commentary on humans’ relationship with nature, history and society. There is a segment of her show when she describes the plants of the land and how they were made into remedies, linking their historical with their modern uses; but this is just one insightful example of how the play intersects history. 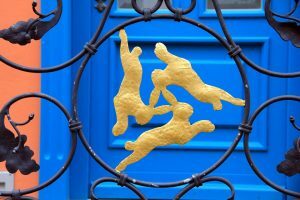 A pairing is made between a figure of the past and Karine herself as she describes the experience of giving birth, and how in a sense we are still at mercy to fate, and that advances only go so far. Deeply personal, and with great flair Wind Resistance wins the “Grimms Gig” Award. Based on stories from ancient Persia, Adverse Camber’s “The Shahnameh” delights and gives a generous sense of time and place. 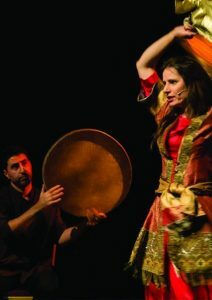 Thoroughly entertaining, the cast of two manage to tell the stories from the heroic age that spins a tapestry of lore as we hear of a magic horse, Rustam a powerful man hundreds of years old, and the Simorgh, a beautiful bird of the imagination, and many more. The characters keep coming, the stories keep enthralling and the evening sales through, and you really do get lost inside. A very good use of the minimal stage props and an extensive personal array of postures and mannerisms from the narrator (Xanthe Gresham Knight) sit alongside a gentle but persuasive approach to engagement with the audience. Highly memorable, “The Shahnameh” wins RUNNER UP for the “Grimms Gig” Award. Songs of Separation for myself was like a seismic event from very early on in 2016. On the magical Isle of Eigg a veritable powerhouse of folk musicians assembled to combine the finest elements of English and Scots traditional influences into an enduring legacy of an album that speaks of separation from personal and historical experiences. Too many great artists to give credit to it is like an etching in diamond. The sense of history from the Gaelic songs echoes from the past and sees many voices, many talents and stories preserved for time to come. There is very little I can say to endorse it more, give it a listen if (for some reason) you hadn’t in the previous year. Now. 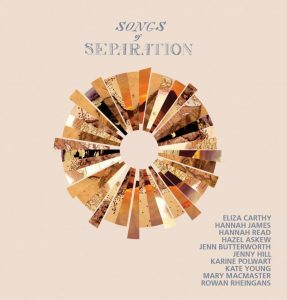 Song’s of Separation can be bought here from Navigation Records. The Furrow Collective comprise of Lucy Farrell, Rachel Newton, Alasdair Roberts and Emily Portman. Their second album is like the beast on the horizon, or rather it seems to be and then it leaps on you in the broad daylight. A legendary creature this work is relentless and piercing, and quite rightly it should be too. With some of the finest harmonies I have heard this year the album is melodic and with a sorrowful edge. Their version of”Wild Hog” is an unbridled joy of an interpretation and elsewhere the banjo further glitters amongst the marsh reeds in immensely deep additions such as “Many a Night’s Rest” and their “Queen Eleanor’s Confession”. It is swamp folk at it’s very, very best but also an example of collaboration and great performance to others who are only seeking to accomplish half as much. Eerie but not overly miserable and macabre this is like a well-balanced dagger. A great outlet for the dark folk leanings of this membership it rightly wins runner up for the “MUSICAL MENAGERIE” award. 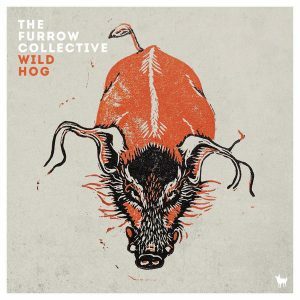 The Furrow Collective’s “Wild Hog” can be bought at the Hudson Records website here. Lady Maisery’s music is rather special. Their latest album, “Cycle” fulfills that folk itch for natural wonder as it gallops through the Wheel of the Year, the seasons of the world and beyond in a dizzying spectacle that is something to see. Their last album “Mayday” was very good, this is even better. Even before you get to considering the strength of their songwriting you have a chance to link arms with comrades through quite a few mindful and pertinent song entries such as “Honest Work” and “Digger’s Song”. With one eye on history, and one of the song-sheet they continue (in my mind) to lead within their particular folk niche. But to award them the “Wooden Wordsmith” we look beyond performance and to original words. Though there are several on the album, two are of such dazzling quality it propels them to these heights. Firstly there is “A Father’s Lullaby”, a mind whirring ode to children’s homes of history, and lone fatherhood due to the risk of death in childbirth. I cried so much during a live performance of this, endlessly moving, very sad. The other rather stellar song is “Order and Chaos”. Self-described as a song about Atheism, the world and cosmos and it’s wonder. Referencing birth and death it puts everything into perspective and reaches far wider then you might imagine. This is why through excellence in songwriting, Lady Maisery win the “WOODEN WORDSMITH” award. 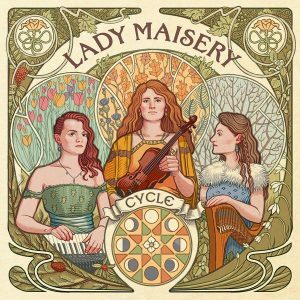 To buy Lady Maisery’s album, please visit here at Rootbeat Records. Ange Hardy has teamed up with Lukas Drinkwater in this quite meta, lightly thematic album. Beautifully crisp in recording, elegant in delivery, “Findings” excels in a number of ways. As an album concerned with the fastening between links, the new forged connections between artists, and even an innovative look at pairing up the audience with the #Findings Game, the duo continue to make interesting additions to the folk music toolbox as if from the ether. Time-hopping it manages to situate itself in the present with considerations of migrants risking their lives (By the Tides) and the difficulties of young carers (Invisible Child) with pronounced and worthy versions of older numbers (The Trees They Do Grow High and Bonny Lighter-Boy), and these fit together with enviable ease. In findings other to perform alongside, they have also found the words to match their ambition that celebrate several sections of society including mothers (True are the Mothers) and daughters too (Daughter Dear Daughter) which highlight a proactive, confident approach to songwriting. Somehow being fairly traditional but with a spirited youthful voice, “Findings” wins Runner Up for “WOODEN WORDSMITH” award. 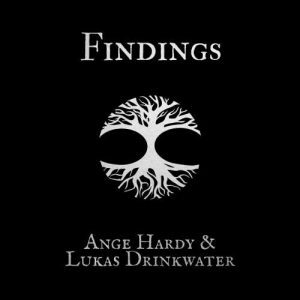 Buy Ange Hardy and Lukas Drinkwaters’ album here. Before the final sprint of unusual events and developments towards the later part of 2016, Merry Hell had managed to forecast a great need for unity due to huge gulfs in opinion and feelings that developed from our “post truth”. “Bloodlines came at the right time but saying this alone is quite badly underselling it as an album. 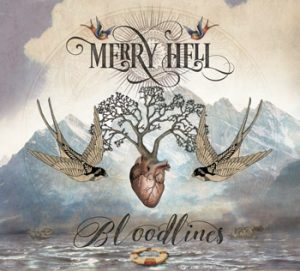 Merry Hell are known as spirited, energetic live performers and this album whilst could not possibly contain all of that flow of showmanship, comes as near to it as possible. The songs could be to unthinking ears mere blunt instruments of patriotism and anthems (hell there is nothing wrong with anthems), but there is a certain gentle care within the construction of each song that points towards the band’s wish for unity and gentle acceptance of each other rather than more radical means. Some tracks take this to the apex and pull on the heart strings (When we are old) or even on our love for the Countryside (Come on England). A favourite on the album is definitely “Over the Wall”, a three part, high-octane song that lets loose in all the right ways leading up to (and following) a prison break. Merry Hell have translated their signature well-written lyrics, thumping tune and passionate delivery to go all political in 2016. This is why they win the “SIGN OF THE TIMES” award. But Merry Hell’s album here. Steve Pledger is a political creature indeed. Following on from his previous album “Striking Matches in the Wind”, “Somewhere Between” takes a similar forest path to his debut. You could be inclined to say that it is “Somewhere left-leaning” but Steve Pledger seems to be an artist that is willing to lampoon both sides for their extremes in political behaviour. Probably gentler still than Merry Hell’s winning entry, Steve Pledger’s acoustic offering is in some ways how you would expect. Quite minimal in instrumentation and backing with his voice the forefront as if playing his album one-on-one to you in the corner of a milkshake shop. 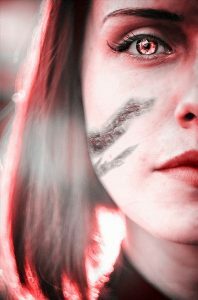 It is stripped and with this comes a kind of honest purity. With this kind of torch and strength he deals with discrimination (Other), history and duty (The Louisa Miner) and hypocrisy throughout the album in a non-judgemental, Carl Rogers psychotherapy kind of way. It works though and generates as many thoughts in oneself as it gives, and for this reason it wins runner-up for the “SIGN OF THE TIMES” award. 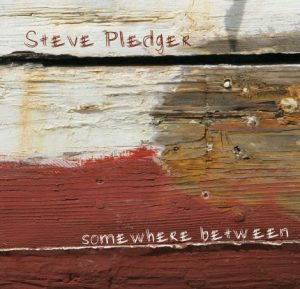 You can buy Steve Pledger’s album here. Leyla dedicates this album to the human spirit and without reservation this album reaches and finds parts of the soul you might not be aware of. Breathtaking strings throughout, it made me fall in love with an instrument enough to want to learn this year, which really takes some doing. Enough about my reasons, why might you like it? It is indeed a burning, Cajun flame that could have easily been included as a gateway to this world of music. 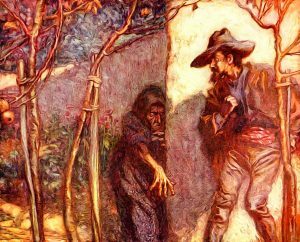 The title track is a chase much like the prey and the hunter themselves venturing into the thicket, the second track “Les Plats Sont tous Mis Sur La Table” is beauty in itself with the fiddle sounding like a call to the dance, the instrument almost cries with laughter and encourages you along. Part in French, part English, part Haitian Creole it is folk, but it also jazz and soul and resonates a rich and meaningful message. It has a delightful waltz to the heart of joy and optimism within music. For that reason it wins the “HALO OF FOLK” award. 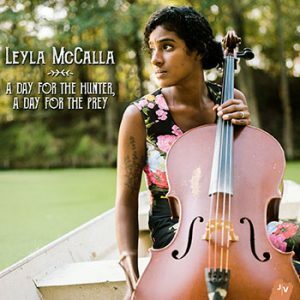 Buy Leyla McCalla’s album here. 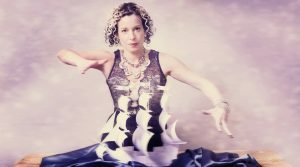 Kate Rusby needs no introduction, instantly recognisable with a gravitas of voice that has seen folk through a number of phases and fashions she is not carving her place in folk history but rather having her own shelf for the works she has contributed over the years. Her 14th album, “Life in a Paper Boat” is as poignant as ever with a hearty mix of more fantastical elements (The Mermaid and The Witch of Westmorland) but also similarly to “Findings” a deeply seated social conscience around the issues of travelling across the sea looking for refuge (Life in a Paper Boat).The album opts for a modern arrangement that sits her as a hugely listenable artist to all, especially as she proves she can spin a story from the unlikeliest sources to great comedic effect (Big Brave Bill- the superhero from Barnsley). Sometimes slight, sometimes more complex there is a lot to enjoy from this album, a great achievement in Rusby’s continuing career. Kate Rusby’s album can be bought here from Pure Records. And that my friends concludes my yearly awards for Folk Music in 2016. Please get in touch on Twitter, or comment on this post and let me know what you think and what alternative suggestions you would make. Thank you to all the artists and your time, more posts coming soon! Kate did a link from her Facebook site to the article. Your reviews and videos was a very, very nice discovery, and a welcome break from the bad news, more bad news times we have. A breath of fresh air that is sorely needed. I have passed it onto friends to brighten their day, especially my American ones, as they need as much brightness as possible in their darkening days. Thank you this is an incredibly kind thing to say. I am so glad it has made someone’s day and helped where it can! Thank you again, and stay in touch! Thank you that’s very kind. 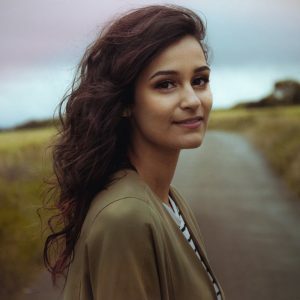 A lot of these albums people know about, I think Leyla Macalla is usually the surprise but providing the odd French track is not a problem she is very special indeed.